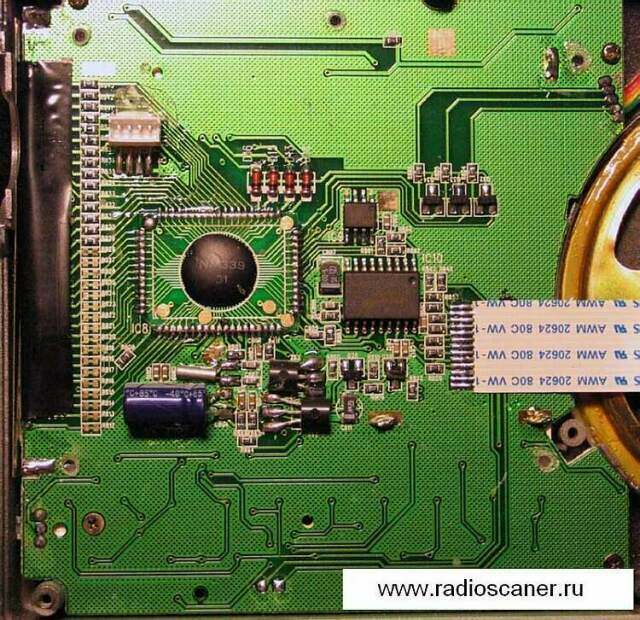 Авторские права Iris © radioscanner.ru; 2004. Special gratitude to Fatos Adami (Philadelphia, USA) for preparation of the english version. The Model DE 1103 is a newcomer from DEGEN. When it appeared in the market, the radio practically attracted the attention of the radio listening enthusiasts immediately. It looks beautiful and well made, and the list of available features for the price tag makes it even more attractive, if not for purchasing, to just hold it in your hands. After targeted searches in the stores of Moscow, I got in my hands the shiny box. “The dress sells” and the Chinese understand this rule. The item attracts the attention with a colorful box with the picture of the receiver and the list of its features written on it. DEGEN DE 1103 is quite compact and light, with the whip antenna and the strap to hold it in your hands. According to all criteria, this is a travel radio. It is not cheap (in Moscow DE 1103 is sold for nearly $100) but is not expensive either like the other known brands. Therefore, in the review below I will try to compare the newcomer with the known representatives of this category of radio receivers: Grundig Yacht Boy 400 and Sony ICF-7600GR. 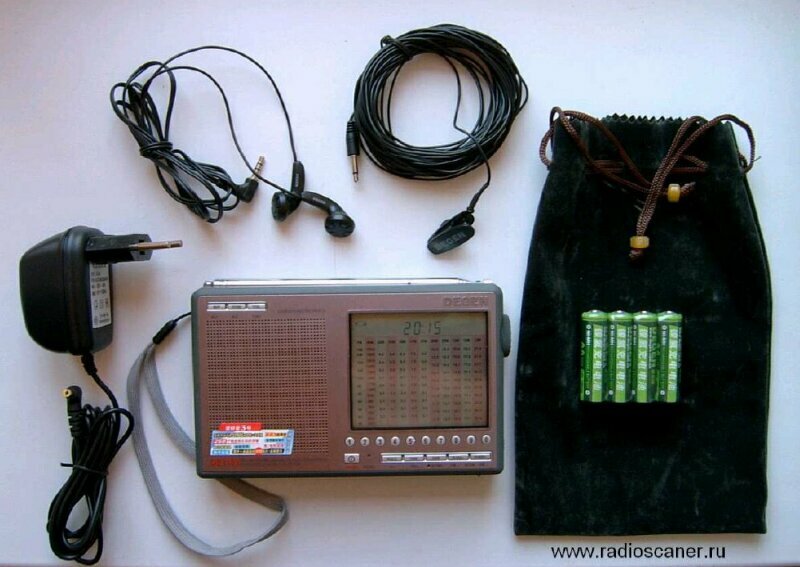 Opening the box, you see the receiver itself, the power supply/charger, earphones, the wire antenna for shortwave receiving, four NiMH batteries and the original velvet case. That’s not bad for a relatively inexpensive item. The external antenna is a wire with a clip on one end and a 3.5mm jack on the other one. This is inconvenient for frequent use (unlike the reel antennas for 7600GR and YB400), but nevertheless it is simple and does the job well. 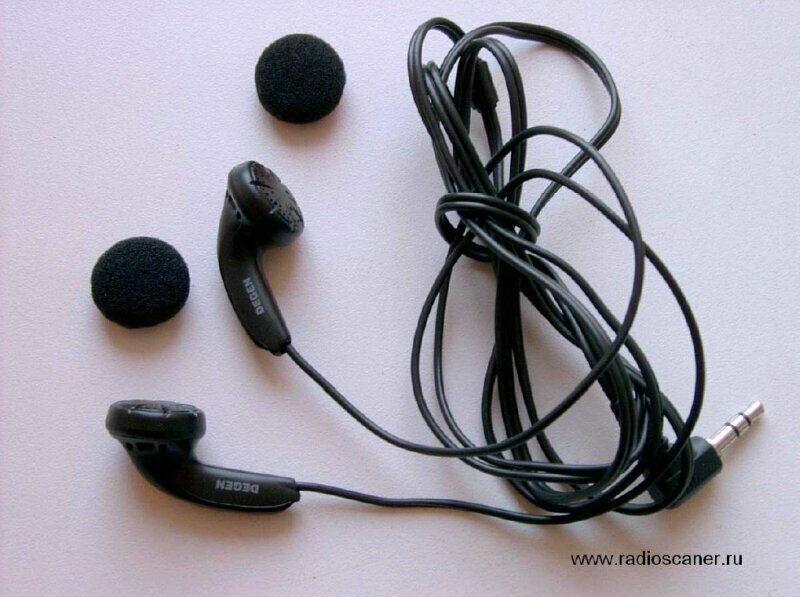 The earphones are simple and work right. A careful look of accessories makes apparent the similarity of the supplied earphones with the SENNHEIZER MX200/MX300, which are not bad for their class. Apparently, DEGEN has trusted suppliers, and all the accessories flaunt mark “DEGEN”. 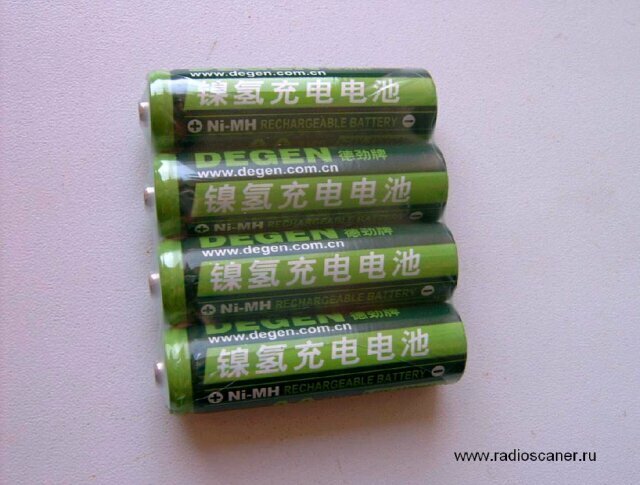 Four NiMH 1300mAh reachargeable batteries are included in the package. 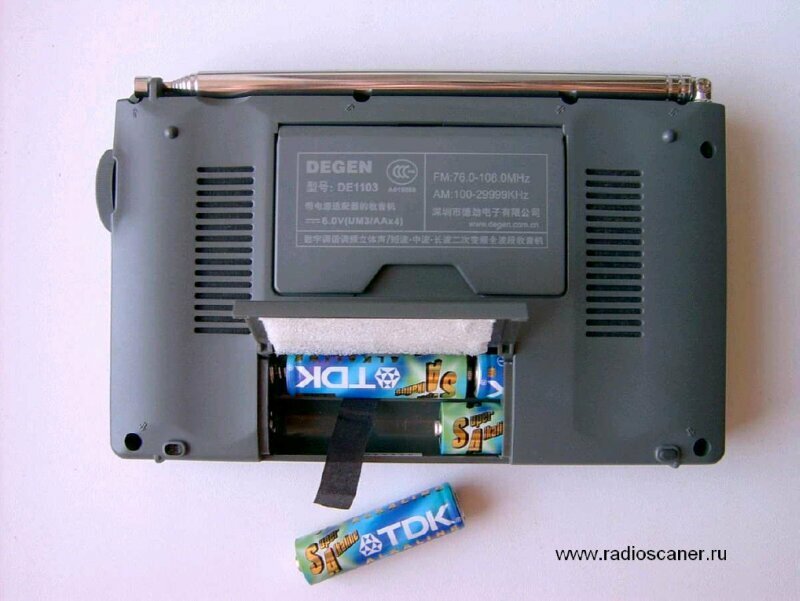 The capability to charge the batteries inside the receiver is an indisputable advantage of the DE1103. A power adapter is included in the set for this purpose. When you listen, you might not think that the time to change batteries is approaching. But battery wise, the DE1103 cannot be considered as economic. We’ll talk later about its power consumption. 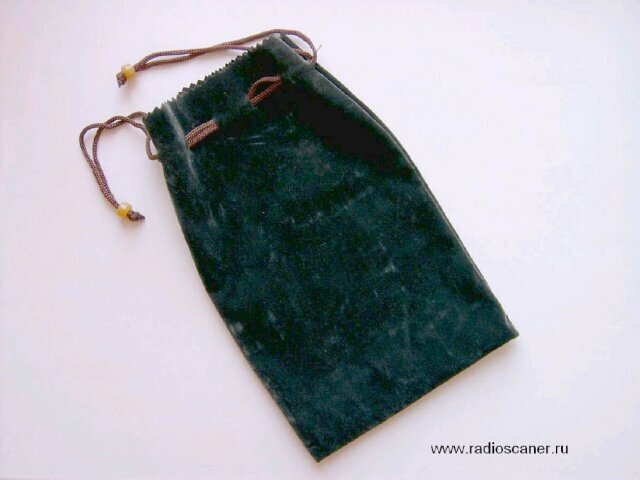 A cute item among the accessories is the velvet bag with the tightening strap. You can put the radio and other stuff in it. Of course, the leather imitation case of YB400 is more practical, but to ask more for this price would be naive. Let’s go back to the main character of the story and take a closer and multilateral look to the newcomer. The model comes in two color variations – silver and purple-violet, according to the color of the front panel. I got myself the second variety. The back part of the main body is the same for both models. The high quality of the elements of the main body of the receiver and the materials from which the DE1103 is made are noticeable. The design is sturdy and well made. Nothing scratches your hands (there are no burrs), the tolerances of the gaps between the parts of the receiver are kept to a minimum. All the small parts are varnished and polished: buttons with inscriptions, moving parts of the switches, and the tuning knob are made flawlessly. Yes, China today is not what it was earlier. A stylish solution of the outside look for DE1103 is the frame around the rectangular buttons, the frame of the main display, and the inscription “DEGEN” itself; all of which are made from machined aluminum with visible inclined lines from the milling machine. True metal, not plastic! After admiring the radio by holding it in hand, let’s go into more details. AM/SW/LW 100-29999 Khz (1Khz step, two band pass switch narrow /wide). 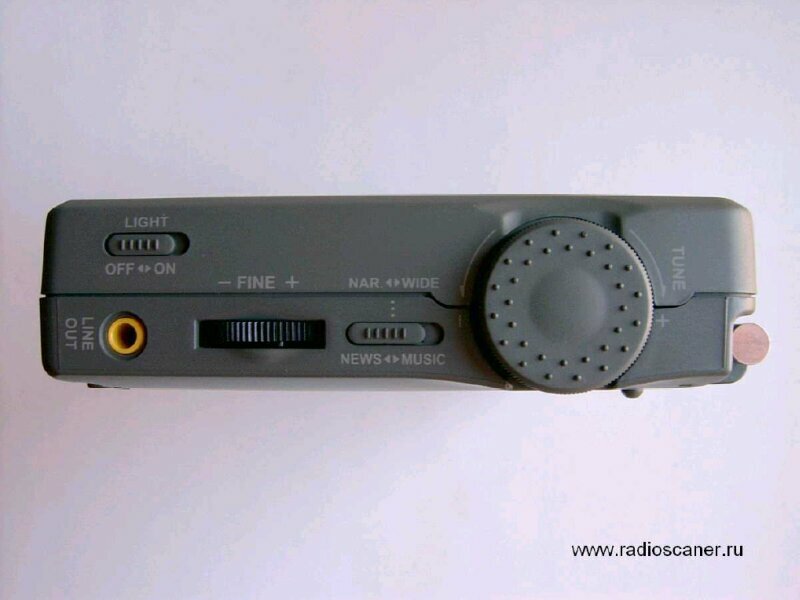 Knob of smooth tuning /automatic frequency scan/memory scans. /direct entry of the frequency. Sleep switch / timer for turning off. SSB receiving with fine tuning. Oversized LCD display with digital indicators and imitation of analog scale. 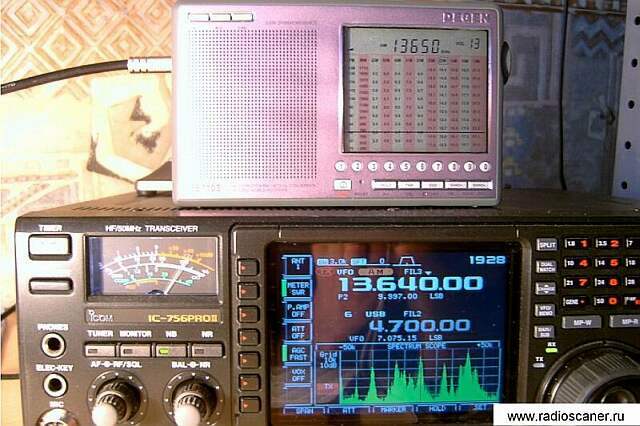 DX/LOCAL switch for shortwave reception. Two position tone switch: MUSIC AND NEWS. Charger/power supply (including 4 Ni-MH batteries). Orange backlight of the display and push buttons. *this is the translation of the advertising on the box in the absence of other technical data except for the Chinese manual. 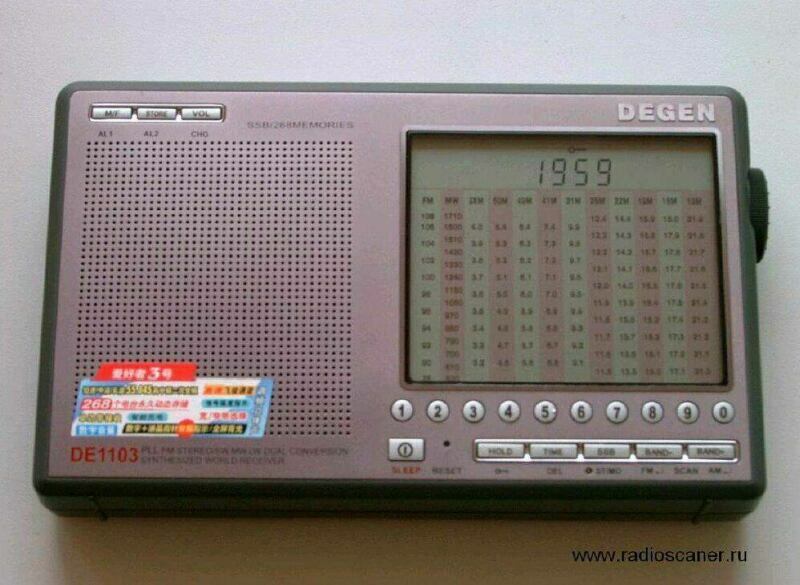 DE1103 differs from the other known digital receivers (most of which are made in China too) because of some original features. First, there is the display. This is the central element of DE1103 that attracts the attention of the amateur. Its area, which takes almost half of the front panel, is original. 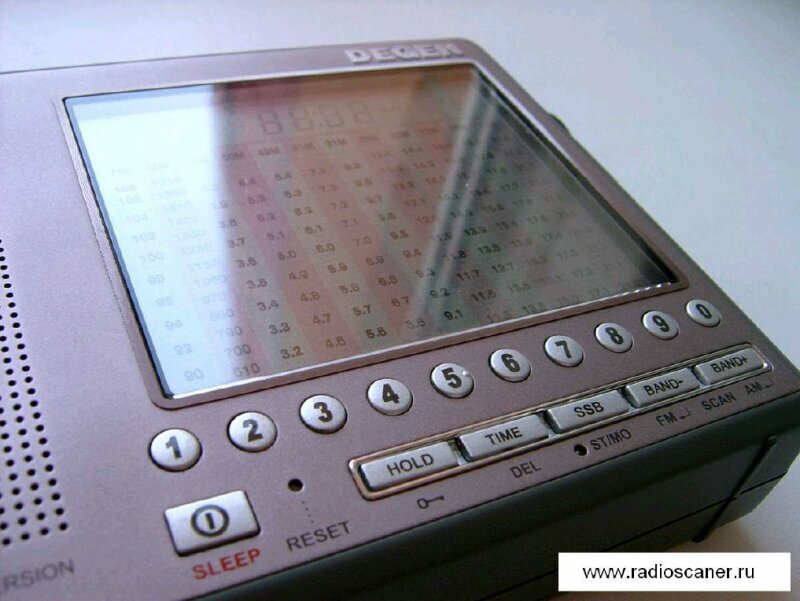 The display of the DE1103 looks like it links two epochs of the development of radio receivers. Instead of the pure digital display, the designers put an imitation of an analog one with a digital horizontal bar that moves up and down with the rotation of the tuning knob. In the photographs this display looks very much similar to the mechanical ones that have wave bands and the numbers indicating the frequencies. The design makes a pleasant impression to people who remember old radios. Secondly, the tuning knob. The PLL of DE1103 has a round knob. The rotation of the knob is surprisingly easy and uniform. Most of the PLL sinthesized shortwave receivers have up and down tuning knobs. Only more expensive receivers have this kind of tuning device. The back lit display is another feature. This is an additional “plus” of the receiver. The display and the inscription of all the buttons(!) glow in the dark with a mild amber like light. The way the back light works is the following: it turns on automatically by pressing a button or turning the tuning knob and stays on for a few seconds after the button or knob is released. It is very convenient to use DE1103 in the dark! 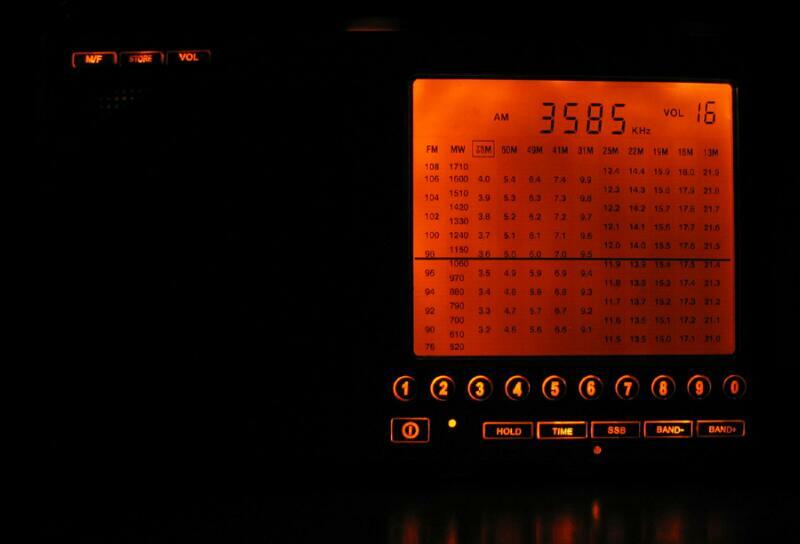 You can easily use the radio even in the pitch dark, unlike the other models of receivers that provide the back lighting for the display and the on/off button only. The back light feature can be turned off with a switch on the right side of the radio if saving the battery power is needed. One of the advantages of the DE1103 is the possibility of receiving single side band signals. 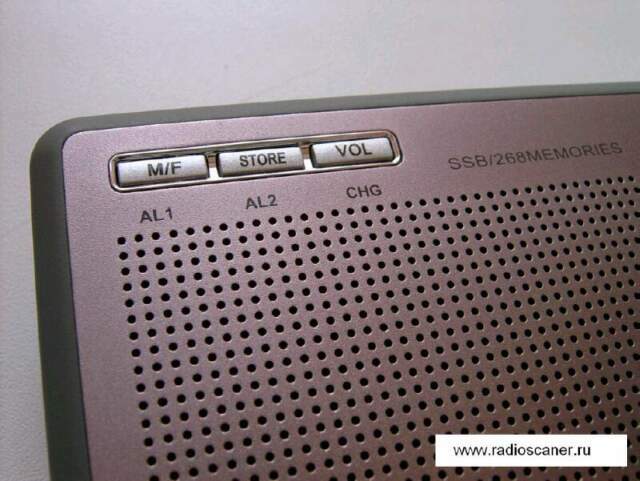 Not all the small receivers have this feature, but precisely the possibility of SSB reception is often an important argument for the radio enthusiasts in deciding to buy a portable device with “all in one” features. The fine tuning knob, the main tuning knob, and the wide/narrow band-pass switch are on the right side of the receiver. On the right side are also the switch to turn on/off the back-light and the line out jack. This last feature is a rarity for receivers of this class (not to be confused with the earphone output jack). It can be a useful feature in some situations. 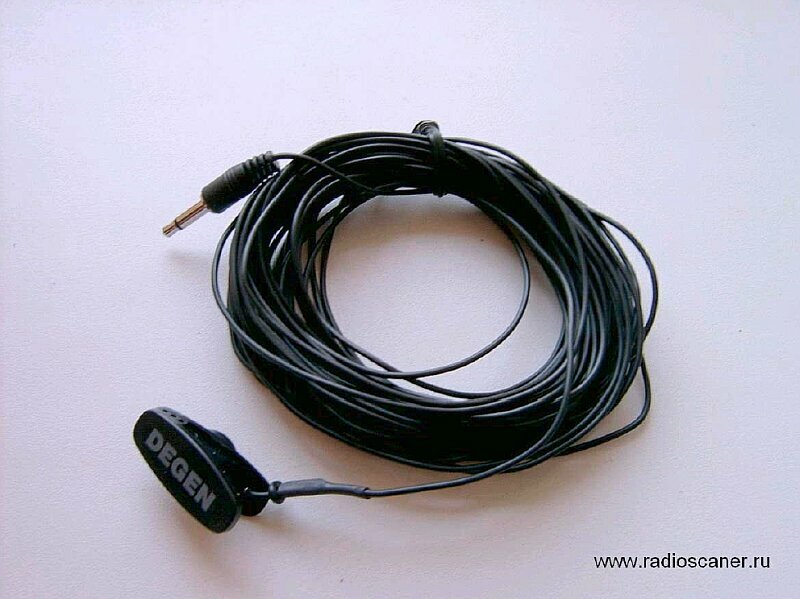 The earphone jack, the jack for the outside wire antenna, and the one for the power supply are located on the left side of the radio. Also, here is the switch for the attenuator DX-LOCAL. The volume adjustment for this receiver is electronic. To change the volume a button needs to be pressed on the upper left side of the front panel, and then with the tuning knob you can select the desired level of volume. This is a little inconvenient and not straightforward, but with time you get used to it. It is unfortunate, that in the small body of DE1103 it could not be found a place to put a conventional volume knob. 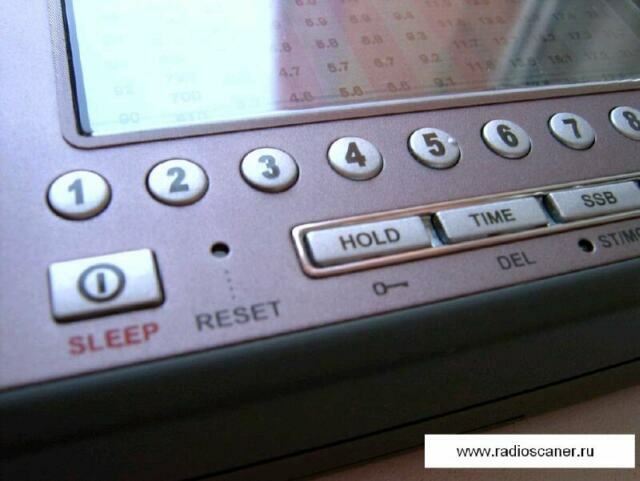 Many buttons of the receiver are multi functional and have at least two functions. The independent study of the functions is made easier by English inscriptions, but the descriptions of some features can be found in the Chinese manual only. This means that they are accessible only to the hieroglyphologists or to them who do inquisitive studies. DE1103 has a buid in clock and two alarms. They all work with the 24 hour mode. - The time the sleep mode comes into effect (between 5 and 99 min.). If the possibility to set two alarms is a normal feature, the lack of a second time clock is unfortunate for DX amateurs who cannot immediately see the UTC display. 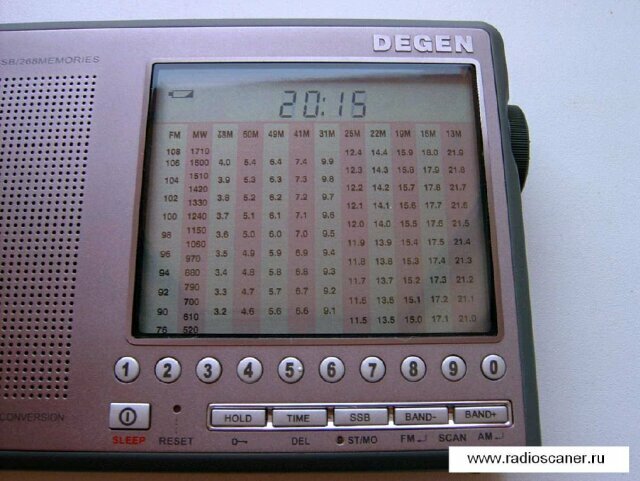 Also a dream is the wish to have a calendar with changing date in the big display of DE1103. These are small flaws that go in the favor of its competitors. When you put the batteries inside the DE1103 the clock is immediately turned on. The clock does not have a second’s indicator like in the YB-400 case. Bad news is the impossibility of the DE1103 to keep the time during the battery replacement. Although internally rechargeable batteries are provided, they still might need to be changed. Sometimes the time can be kept during the battery change, but in most of the cases the time display takes the most abstract appearance during this procedure. In this case the receiver cannot be turned on and the processor is blocked. For similar situations a smart internal knob is provided in the front panel of the DE1103. After the RESET procedure is performed, (by pressing the internal button through the reset hole) the clocks are turned back on and the receiver is ready to work. Good news is that the internal memories remain intact during this procedure. DE1103 is powered from four AA batteries. Those can either be the supplied rechargeable NiMH or normal alkaline ones. In the last case the designer has put a warning in the back panel about the danger of trying to charge these kinds of batteries using the internal charger. In the AM band (LW, MW and SW bands) the current was about 75mA for a low volume of the speaker. For the maximum volume, the current reached about 130mA. A little less current is needed in the FM band, respectively 58 and 100 mA. Going in SSB mode added 11 mA more to the current. Also the backlight takes an additional 20mA from the rechargeable batteries. When the receiver is turned off, the current consuming is about 20 µA for the standby mode and for the clocks. DE1103 does not suffer of bad “appetite.” The presence of the rechargeable batteries smoothes the “sin of gluttony”. A convenient new feature for the DE1103 is the internal timer for battery charging. In general, it is known how important it is to charge the batteries right for an efficient use of their capacity and have them live long. A basic and simple method is to charge the batteries with a constant current for a given time. This time in hours is calculated as the ratio of the battery’s capacity with the charging time multiplied by 1.4 to 1.5 (this is right for currents up to 0.25 of the batteries’ capacity). Most of the slow chargers control the charging time and warn about the necessity of turning off the device at the right time to prevent the overcharge and damaging the batteries. 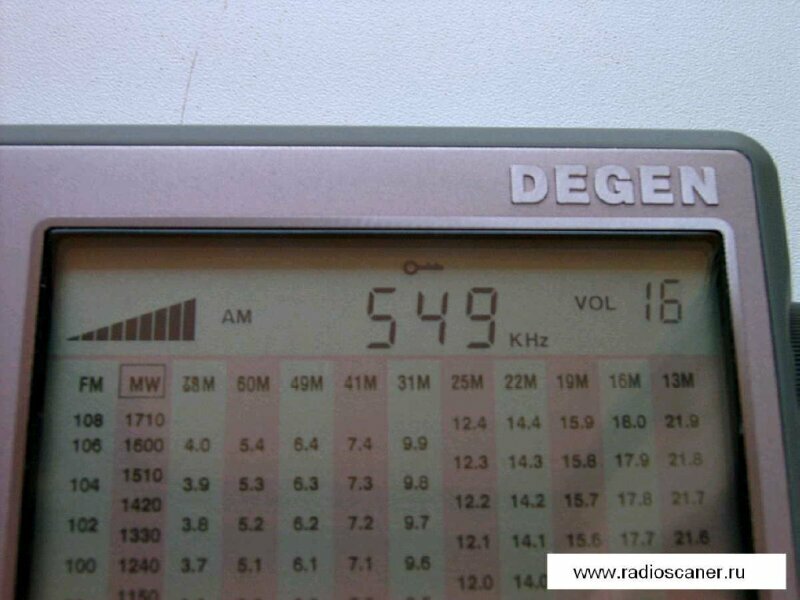 The DEGEN engineers supplied their receiver with an internal charger and a timer for it. At the beginning of each charging cycle, the user can select the time in the limits of 1 to 23 hours. The measured charging current during this procedure was about 85mА (100 mA in DEGEN’s manual). It is unquestionable that this is more convenient than to do the math yourself and remember when to turn off the charger. The receiver DE1103 is turned ON/OFF by pressing the specific button in the front panel. The same button activates the sleeping mode. To set the “sleeping” feature (automatic turn off), turn on the receiver and keeping the ON/OFF button pressed, rotate the tuning knob to select the time in the 1 - 99 minute range then release it. The same time can be set (when the receiver is still off) by selecting it by using the 0-9 numerical buttons and then pressing the ON/OFF button. The receiver being on will automatically turn off after the preselected time runs out. After the receiver is turned on, the clocks are substituted by the digital frequency indicator. To see the time while the receiver is turned on, the appropriate button (time button) has to be pressed. Unfortunately, there is no possibility to see simultaneously both the time and the tuning frequency (as in the case of YB400). 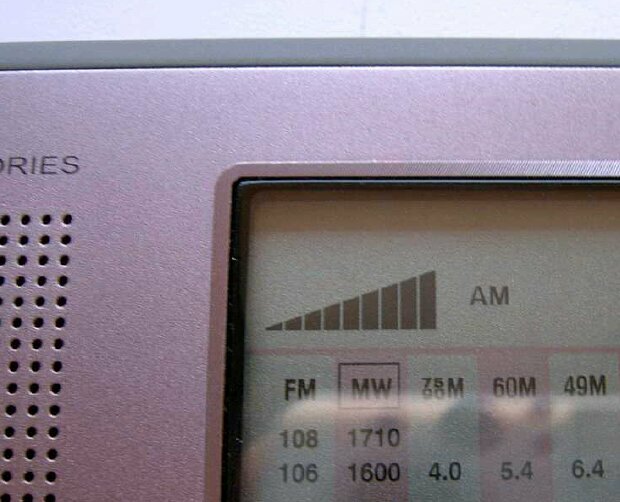 On the upper side of the display, above the columns of the graphic scale, is placed the basic information: the signal strength indicator, the icon of the battery charge, the tuning frequency, the level of the speaker volume or the memory number and the “key like icon” for locking of all of the receiver’s functions. 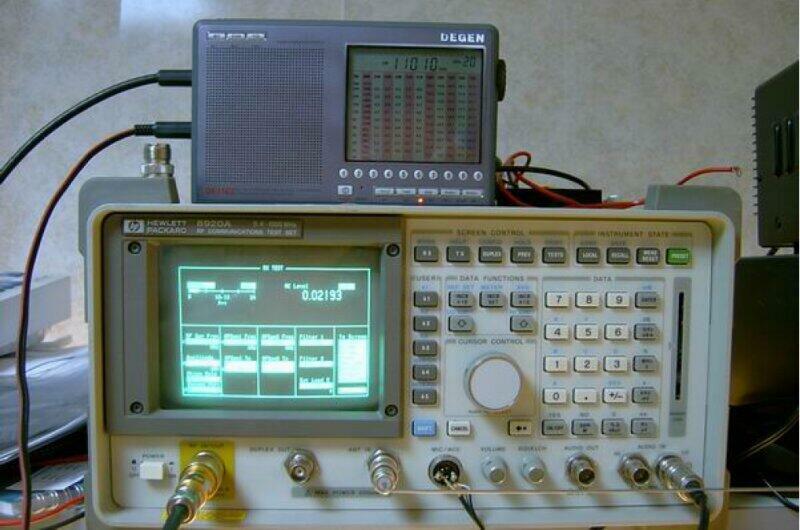 The PLL allows tuning by direct entry in the given frequency in the 100…29 999 Khz or 76…108 Mhz ranges. A row of numerical buttons is provided below the display for this purpose. About the buttons, because of their small size and relative hardness, pressing them precisely can be a complicated business, even for people with not too thick fingers. The tuning step, if you use the tuning knob, is 1 Khz in LW/MW/SW bands and 25 Khz in FM-band. Despite the discrete tuning, the station search with the knob reminds you of the smooth tuning in the analog receivers. This is realized by tuning without muting. It is this feeling of straightforward tuning, of touching and listening with the DE1103 that makes it attractive, in contrast with the up/down tuning of other receivers. 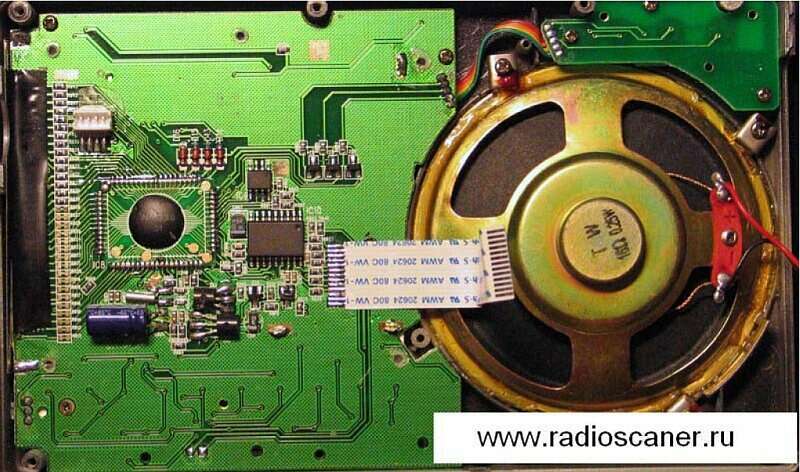 After a short use of the receiver it became evident the need for having an additional tuning step of 9 Khz in LW/MW and 5 Khz in SW broadcast bands. It is how it is done in the YB400 case. 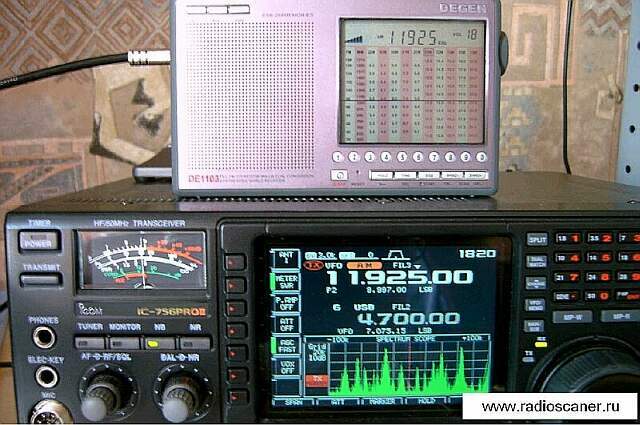 Because of the minimal 1 Khz tuning step during the search for broadcasting stations, you can spend excessive time in the precise tuning of the radio-stations. This is inconvenient. The manual tuning of the DE1103 has a small flaw. This is a generation of a small noise during the tuning like “blip-blip”. Although these sounds can be heard only in the quiet parts of SW bands, its presence kind of spoils the good feeling of the smooth tuning of DE1103. The study of this phenomenon showed the reason why it happens (more details in the technical part of this review). Simultaneously with the tuning, the horizontal line of the analog scale moves vertically on the main display stepping up and down and placing itself in the right position of the vertical columns of different bands. With time it became apparent the practical use of this “simulator” of the tuning mechanism. The position of the tuning frequency in the broadcast bands is well visible, and the small frame around the band number in the upper part of the column indicates the band itself. Therefore, now you have in front of you the standard map of the broadcast bands and don’t need to rotate receiver (like in the case of YB400). A little inconvenient is the cyclic tuning inside the same band. When the upper or lower limit of the given band is reached by the rotation of the tuning knob, the receiver automatically goes back at the opposite end of the same band and the tuning starts over again within the same one. This is convenient during the search for the stations within a band, but makes more difficult the general surfing in the whole SW band when you want to disregard the limits of the sub-bands. There is one fix for this: – select a frequency using the direct entry feature let’s say 1Khz up (or down) the limit of the given standard band and then continue the manual tuning in the desired direction using the tuning knob. I liked the capability of the memory to stay tuned to the last station visited in each band. If you leave the given band with any method (by pressing the buttons “BAND-”, “BAND+” or with the direct entry of the frequency), then if you turn back to the same band by pressing the buttons “BAND-” or “BAND+” the receiver tunes itself in the frequency where it was before and in the same mode AM or SSB. This is very convenient if you have to go to one frequency and then turn back where you were before without passing through the memory scan and/or the procedure of another direct frequency entry. There is an auto scanning function inside the same band. To do this press and hold the corresponding up or down button (which is band+ or band- button) for a second or so. The receiver will start a noiseless search within the corresponding band with a 1 Khz step in LW/MW, 5 Khz in SW and 25 Khz in FM-bands. When it finds a signal, the DE1103 stops for three seconds turning on the sound. If you don’t press any button during this time, the search continues. If you want to stop in the station that you just found, press the band+ or band – buttons again. The tuning speed during the search is about three steps a second, but the search itself in LW/MW/SW does not work in an optimal way. The receiver stops in the strong signals only, ignoring the weak and even medium strength broadcast stations. In the same test for the “goody” YB400 practically nothing escapes its attention during the search. But the high sensitivity of the search schematic has its downside, the sensitivity to the noise is noticeable during the reception in urban areas. It practically stops at every noise. The signal strength indicator for the DE1103 is made in the form of discrete “inclined plane”. It has four strength levels only, but with increasing number of segments. The same feature is present in the case of the S-meter of the YB400 too. The rise of the “inclined plan” is two segments for each step of the signal strength increase, with the exception of the last step in which the rise is three segments. DE1103 does not have that big inertia of the strength level indicator from which the YB400 suffers. The change of the levels here coincides faster with the dynamic level of the reception signal. Unexpected was the lack of the signal strength level indication during the reception in the FM band. 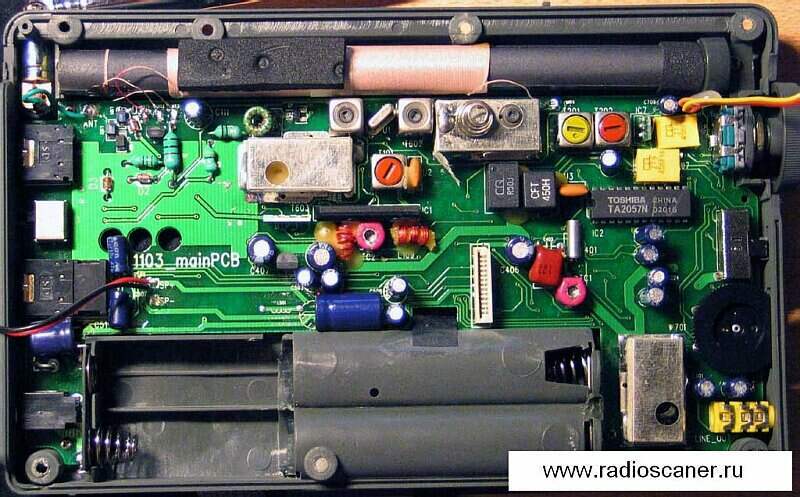 From the technical side this flaw is understood; the schematic of the strength level usually is attached to the AGC (automatic gain control) of the receiver, and this one is not used in the portable receivers in this band (FM). 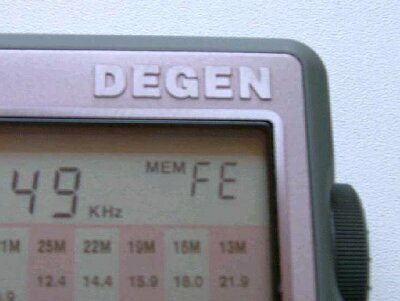 Nevertheless, in the YB400 the simplified strength indicator works in the FM band also. As I progressed with the study of the receiver, it became clear that the function of the battery charge control is not limited to the wave-like movement of the respective “inclined plane” icon during the battery charge when the receiver is off. If you press the button of volume adjustment, during a few seconds when the volume indicator is on, the “inclined plan” indicator in the display shows the remaining battery charge. The battery strength indicator stays on a little more. This is more convenient than simply the abrupt shut off of the receiver when the batteries reach the exhaust point. The receiver has 268 memories. They are more than enough for most users and in any case more than the available memories in the similar competing receivers. But the record capacity of memory sets forced the designers of the DE1103 to use all the alphabet of two digit memory indicator. Whoever is not familiar with the hexadecimal system will be surprised during the memory scan with the tuning knob by appearance of the 10th memory as “OA”, and the last one, the 268th as “FE”. This mathematical trick may give a head ache to the active users of the memory channels. For those who feel better with the decimal system, there is a simpler way around it. During the memory storage, you can simply select the memory number by using the numerical buttons underneath the display. In this way you can write in the memories (from 00 to 99) out of 268. During the memory scan, the active memories will change increasingly from 00 to 99. The rest of the memories do not show up, but they can be activated by storing another station after selecting its number and using the tuning knob only. Besides the frequency, in the memory can be stored (and recalled) the receiving mode in SW bands (АМ or SSB). This convenience does not exist in all models of receivers with SSB capability. It is unfortunate that text messages cannot be stored in the memories. 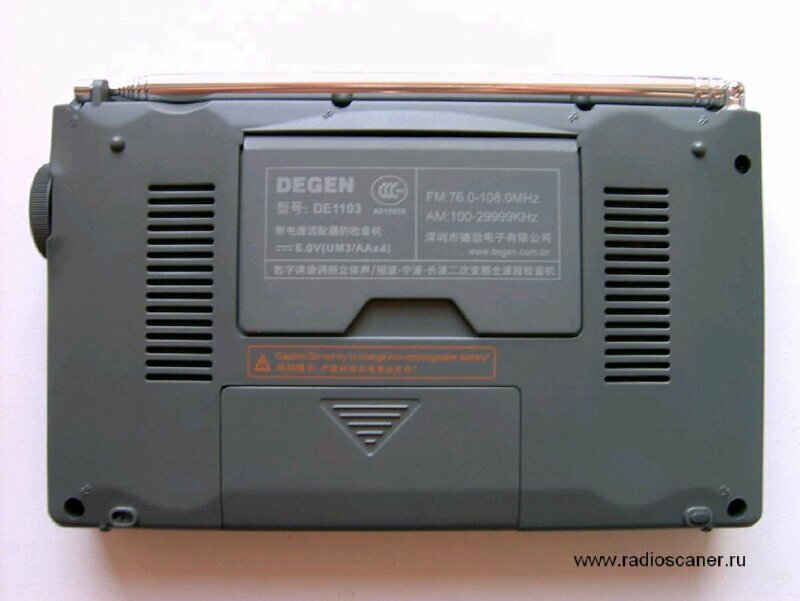 Anyway, by the memory storage capability, the DE1103 stands out of the top models of the portable SW receivers. Despite the fair amount of information available in the display, there is a feeling of a kind of “waste of space”. Probably, the major complaint might be the use of about 80% of it for the digital simulation of the analog graphic scale. Not very convenient for use seem to be the switches of the band pass and signal attenuator. The insufficient roughness of their surface combined with some stiffness makes them kind of hard to switch up and down with the fingers. We mentioned above the problem with the small numerical buttons. For the rest of controls there is no complaint. Related to the reception performance, the DEGEN DE1103 can be compared with GRUNDIG YB400, taken as a standard. In the circles of amateurs, the YB400 is praised for its excellent sensitivity and selectivity. Most of the portable receivers of this class show in the best case similar characteristics. In the first test outside in the SW band using the whip antenna, the newcomer won hands down by a clear margin. DE1103 received the signals clearly and loudly enough, the same signals that in the YB400 were barely distinguishable from the noise level. This performance was obvious in the frequencies from 3 to 20 Mhz, and only in the frequencies above 25 Мhz the signals were received with almost the same strength. In both receivers the appropriate selection of IF filters helps select the weak signals from the strong adjacent stations in the busy parts of the SW bands. This is true even in the case of their presence 5Khz away. But in the DE1103 the narrowing of the band-pass reception during the switching in the narrow filter is much more obvious than in the YB400. The sensitivity in the FM band is equally good. In most cases the programs of the Moscow FM stations can be received without deploying the whip antenna and without worsening the reception quality. The 77 mm speaker doesn’t sound bad in the compact body of DE1103, but the sound in the YB400 has more volume and depth because of its bigger dimensions. The quality of the reception can be fully appreciated with good quality headphones only. You should not forget to turn the tone switch in the position “WIDE” or “MUSiC”. Changing position of the tone switch from “MUSIC” to “NEWS” sensibly cuts the high sound frequencies, changing also the signal in the line out jack. The stereo decoder of the DE1103 has a high sensitivity, with the red LED stereo indicator turned on even with a weak signal. But, like in the majority of receivers, in the low signal strength conditions the stereo reception is noisy. The choice of the 10.7 Mhz IF filters can be considered appropriate; in the saturated Moscow’s FM band there was no interference from adjacent broadcast stations. The reception of the SSB signals in the DE1103 was a welcomed surprise. As in the YB400 case, the tested receiver has a two band reception in SSB. Here there is not a separate switching of the side bands; they are received simultaneously. But unlike the same feature in YB400, the fine tuning wheel in the DE1103 controls the tuning of the frequency of the third (last) heterodyne. With some practice this allows the user to tune the frequency of the supporting generator in one of the slopes of characteristic filter, thus realizing a better reception separately in LSB or USB. The amateur and service stations are received with good selectivity. In the presence of the high density of simultaneously working SSB transmitters, “tails” from the neighbor stations appear; nevertheless, the width and slope of the “narrow” filter is up to professional standards. But this kind of reception condition is rare. The width of the band-pass for the “narrow” filter in the DE1103 is optimal for its convenient use either in АМ or in SSB mode. During testing in SSB mode for the DE1103, I found out one problem. For a certain position of the hand in the body, like touching the right back side of it and the plate of the front panel, the clarity of the tone of the receiving signal worsened. It became wheezing and like rumbling. I found the reason for this flaw, and I will describe its fix below in the technical part of this review. The lab measurement of the sensitivity of the DE1103 confirmed the high results obtained during the “hearing” test. The findings are shown below. Sensitivity (in µV) from the jack of the outside antenna in different receiving frequencies. The ratio S/S+N (SINAD) is accepted to be equal to 10 db. The high sensitivity of the portable receivers usually comes together with mediocre performance in inter modulation and overload stability. This is a long time established technical fact. And preparing the newcomer to the test of “shock handling”, I was ready for the nth time to observe the classical picture of switching from the good reception with the whip antenna to the mess and inter modulation of different sounds from the superposing stations during the attachment of the outside antenna. The attachment of the outside antenna to the respective jack of DE1103 reminded me of the interruption of a contact, or the attachment of an additional wire. The ethereal noise and the level of reception sharply increased, but the receiver worked reliably and received the signals the same as before, exactly where they should be. I took a look on the left side of the radio, and I was surprised even more. The attenuator was in the DX position! Switching the outside antenna quickly to the YB400 caused the expected overload, and I had to use the attenuator. 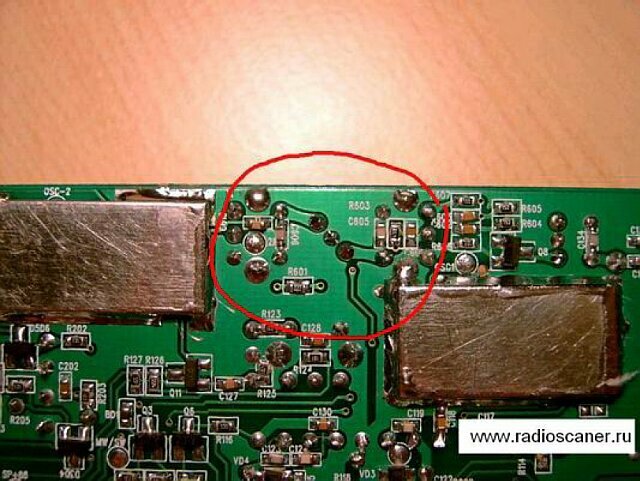 I switched back the outside antenna to the DE1103 and the picture was totally reversed. 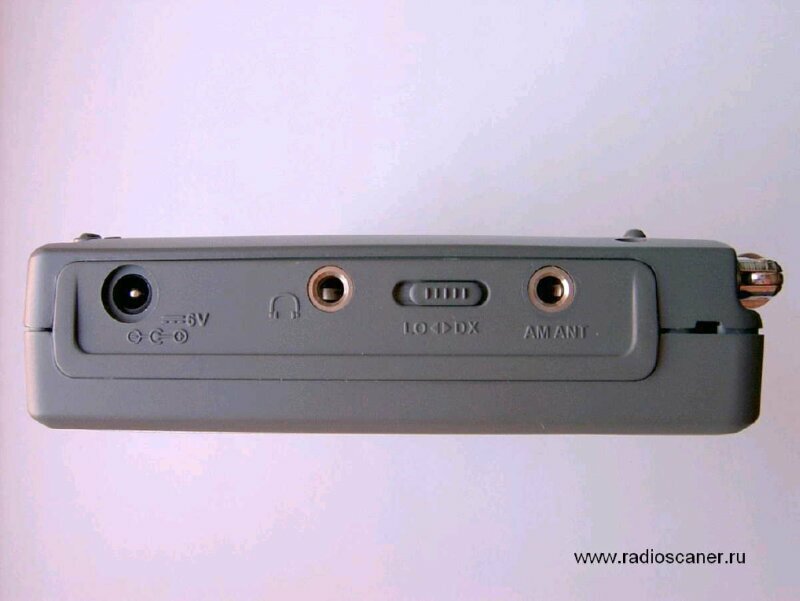 The scanner AR8200MK3, adjacent to the tested radio, during the attachment of the same antenna hissed, showing full reception strength. This is a normal reaction for a scanner. Despite the fact that its sensitivity in SW band is almost the same as the one reported with the above table for the Chinese radio, in the presence of the powerful signal AR8200MK3 is obviously a loser. The attempts to find and receive any normal signals with MK3 with the outside antenna were unsuccessful; you could listen only to the tips of the icebergs in the ocean of the broadcasting radio stations. So, we have a new champion! From my collection of receivers, only the heavy weight IC-756PROII still remained a worthy opponent for the DEGEN DE1103 in the powerful waves of the ethereal ocean. The GRUNDIG YB400 and AR8200MK3 silently continued to watch further events from the floor. It was true. During the reception with the general outside antenna the better HF transceiver and the sixty dollar Chinese “soap box” received almost the same. The signal passing through was saturating; in most bands the level of the received “voices” pushed the needle of the S-meter of the transceiver on the red end of the scale. Switching on the attenuator in the DE1103 (according to the measurements its attenuation is about 17 dB) was desirable, but in fact was only seldom needed. When there were doubts about generation of overload signals, like suspected increase of the general level of noise, the use of the attenuator returned the reception to comfortable levels. Simultaneous reception with the common outside antenna: 10Khz away from a strong station, the difference in the signal level is more than 60 dB; in the dynamics the DE1103 has only weak “tails” in the peaks of the modulation of the strong signal. I furrowed the shortwave band, tuning in different broadcast and amateur stations with both receivers, evaluating the reception quality here and there, but the result looked as obvious as it seemed unreal at the beginning. After a while I had to fully believe this small guy. But it is known that the ideal receiver does not exist yet, and the DE1103 has its own problems too. These are the mirrors IF chanels of the strong stations. Some of them are in the TV reception band, and the experienced ear can hear in particular points of SW bands a low but characteristic sound of the carrier’s mirror or “tails” of the sound carrier. Regarding this parameter the E1103 does not look worse than his friends; these effects look the same even in the more known and expensive receivers. And “the permeation” of the mirror channel of the second IF is bigger, but we will talk more about it in the next part of the review. This part of the review is basically dedicated to the amateurs who want to look inside and to those who want to improve their DE1103. People who are not interested in the “inside world” of the technique, can skip this part and go to the conclusions right away. A quick look on the board of the receiver confirmed that like other modern portable “digitals”, DE1103 is built according to the schematic of “upper” transform with two intermediate frequencies. 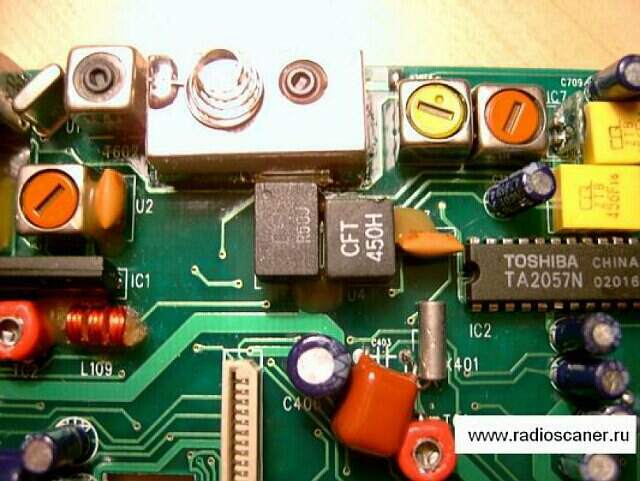 The general schematic is more complicated for the SONY ICF-7600GR and GRUNDIG YB400. I will not describe the schematic and knots, but I will stop in the most interesting and important (according to my opinion) moments of DE1103. The body is built in two parts. In the first one the analog circuit and the powering system are placed. 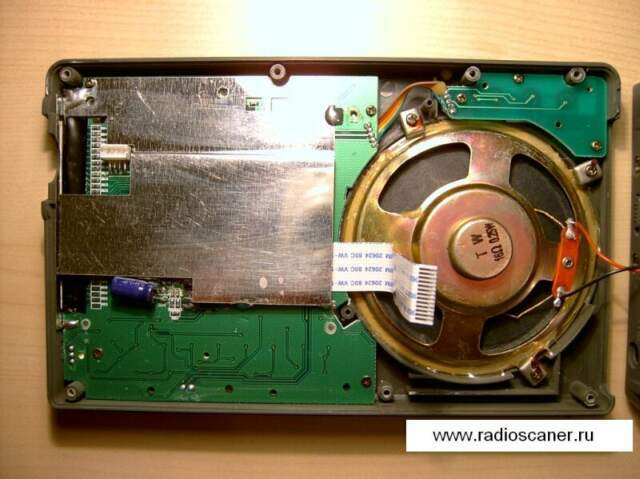 The reception in the 100-1710 Khz band is realized with the internal magnetic antenna. The second part contains the circuit of the processor with the display and the control buttons. Here is placed the 77mm dynamic speaker too. 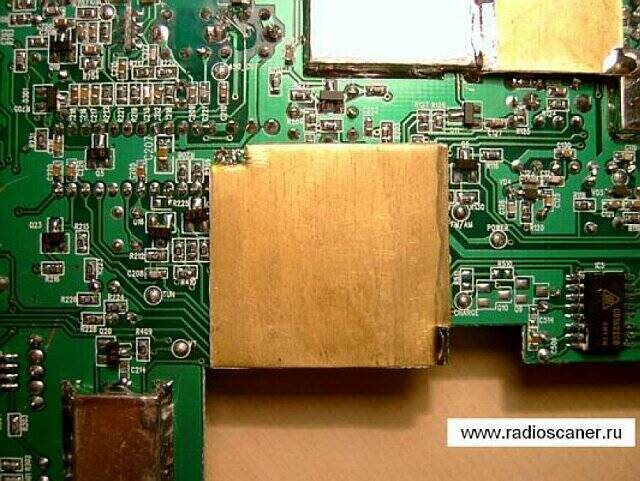 To remove the RF/IF board of DE1103 you need to de-solder the output for the inductor of the ferrite antenna from the soldering points in the circuit and unscrew some screws in the back side of the lid of the main body. 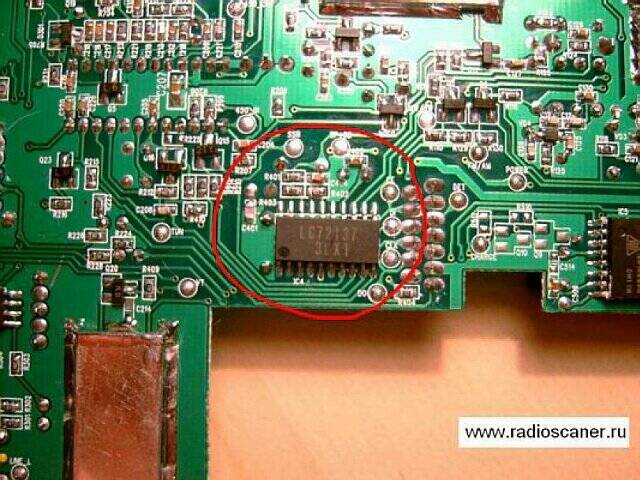 I advise you to mark the place of output for the antenna inductors in the circuit. 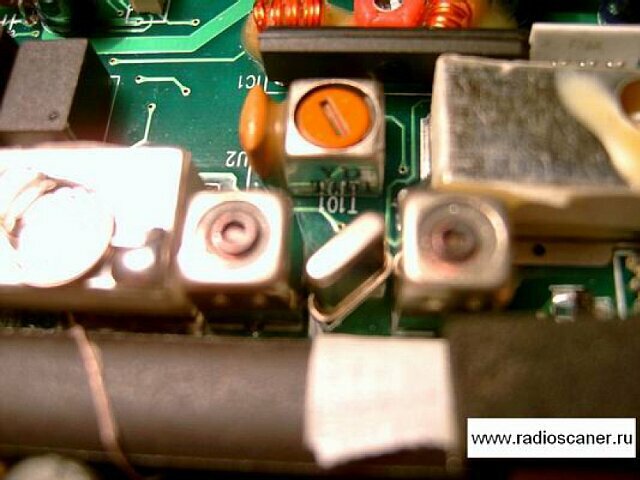 If you incorrectly reattach the inductors in the circuit (the one in the first picture in the left side of the ferrite antenna bar), it is possible to have a generation from the RF amplifier. This negative phenomenon may not attract attention right away, and can be seen as an increase of the “reception noise” and a decrease of the sensitivity of the receiver adding parasite reception points. 1. With the attachment of the outside antenna into the antenna jack, the whip antenna is fully excluded and after it the RF amplifier of the AM bands (to the envy of the owners of YB400’s and 7600GR’s). In this way the signal from the entry point through the switched attenuator and the LPF (low-pass filter) goes into the balanced mixer (realized through two single gate FET’s, the schematic of the mixers being almost exactly the same as for YB400’s and 7600GR’s). Here is the reason for the excellent stability in overload and intermodulation for the DE1103! At the same time in the other receivers, the entry cascade of the RF amplifier is always on, and the outside antenna is attached to it instead of the whip; the DEGEN designers minimized the signal amplification and the result was immediately attained. The data about the measurements of the sensitivity in the table above are taken from antenna jack. During the reception with the whip antenna, the signal is further amplified by the entry cascade (about 10 dB), making the DE1103 very highly sensitive to work even with the shortened whip antenna; this is very good. 2. A integral band pass filter is set at the input of the FM section, such that I haven’t seen in the other small receivers. The right solution for the input circuit makes it work flawlessly. 3. The good selectivity for adjacent channels in LW/MW/SW bands is due to good filters of the second intermediate frequency. IF filters in the DE1103 are chosen wonderfully. Their difference during switching from one to the other is easily understood by sound. The inscriptions on the bodies of the filters are R50J and 450H. They correspond to the specified band passes, 3 and 6 Khz respectively. 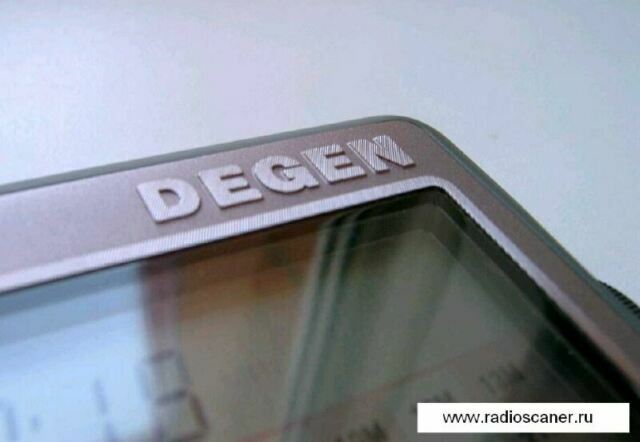 DEGEN specifies the value of 4 Khz for the band pass of the “narrow” filter in the DE1103. Therefore, the value of the band pass of 4 Khz has a reserve on the better side. Now the difference in selectivity with the YB400 is understood; in the case of YB400 the narrow filter is marked 50I, and this is a true 4 Khz one. But there is bad news too. There is a mandatory test about the parasite reception of mirror signals in the second intermediate frequency (+ 900 Khz above the tuning frequency, the intermediate frequency of the receiver being 450 Khz), which characterizes the suppression of the signals in the opaque part of the filter of the first intermediate frequency. Here the newcomer surrendered having a test result of -42 dB. His opponent in this test, the YB400, did much better (-60 dB). The practial importance of the selective properties of the first quartz filter are important in the real reception to keeping out the strong signals that have a frequency double of the second IF (900 Khz) above the tuning frequency of the receiver. Precisely, this “Achilles heel” of the DE1103 is seen during reception with the outside antenna. There was a weak and parasite reception of the powerful radiostations that were 900 Khz above the tuning frequency of the receiver. The schematic of the first quartz filters is identical with the one for YB400’s and 7600GR’s, therefore the difference in the reception results can be explained by the quality of the filter used and/or the topology of the assembly. The author has tested many times the screening over the printed circuit where the filter is, to prevent the “leakage in air”. In the case of DE1103 the screening reduced the leakage for about 8 dB outside the filter’s band pass. The search for the cause of the distortion of the signal in the SSB reception led me into the IC of the PLL. 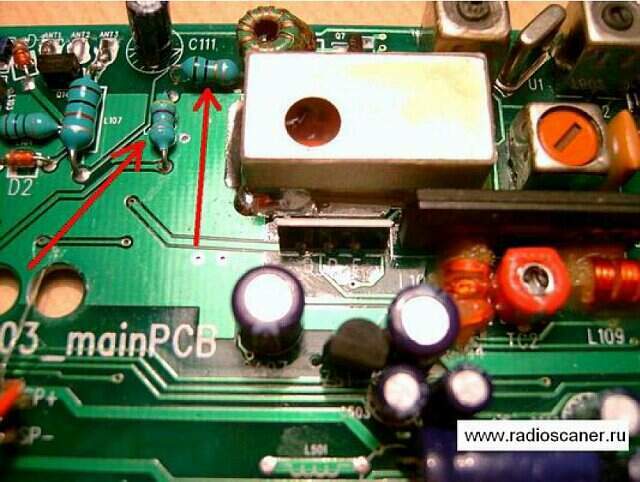 Approaching the hand in the part of the board where the IC located, it influenced the quality of the signal output of the PLL. A distortion of the sound appeared. Unfortunately, the PLL of DE1103 has a birth defect, which is hard to correct with simple means. This is the insufficient filtration of the control voltage for VCO. This schematic chosen by the DEGEN engineers is a simple passive RC filter that substitutes the charging transistor and filter circuit (that are present in YB400’s and 7600GR’s). Because of this, you can hear the “blip-blip” during tuning with the tuning knob in the quiet parts of the SW bands. A continuous vibration starts in the filter circuit until the full tuning is achieved. Besides, the output signal from VCO has a weak low frequency parasite FM. 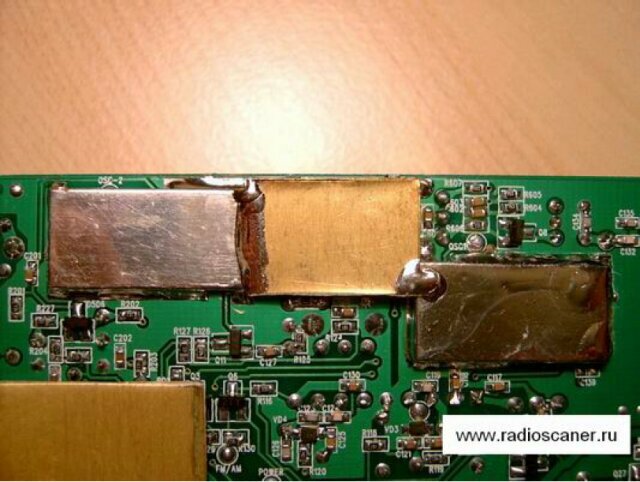 This defect becomes more noticeable with the increase of the reception frequency; in the frequencies above 25Mhz even an untrained ear can hear the distortion< of the SSB that reminds you of a light roar. This is a mistake in the calculation of PLL by not considering the true control characteristic of VCO. Why be so severe with the Chinese – you can ask? But the same YB400 is an exemple of the good job in the PLL schematic by just changing it a little. 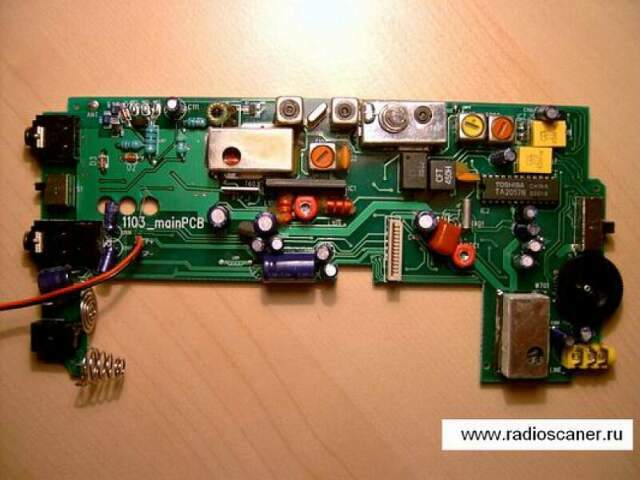 And the work of the PLL is the first to stand out in an SSB receiver. Since I had access to the schematic, let’s have a quick look at characteristic of LPF in the 100 Khz – 29.999 Mhz from the antenna jack to the mixer input. LPF is made of two inductors and some capacitors (on the back side of the circuit). 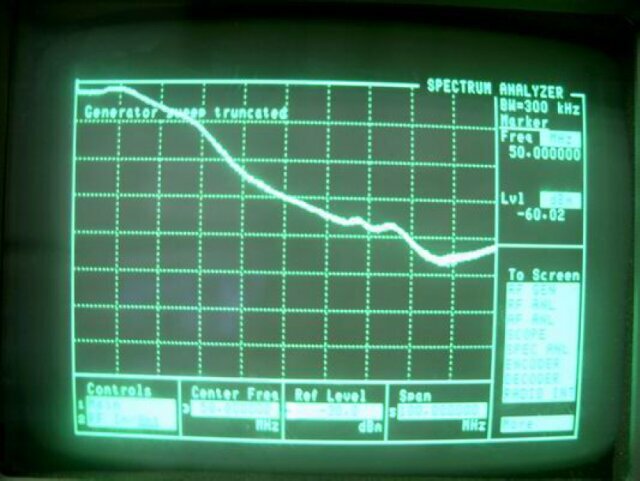 You can see the typical “fall” of the characteristitcs of the input filter starting from 12 Mhz. This is the explanation of the substantial decrease of the sensitivity in the higher frequencies of the SW band (up to -10 dB at 29Mhz). Compare this with the results of the measurements for the real sensitivity earlier. Is this a miscalculation of the DEGEN designers or a lack of the real testing? This flaw needs to be fixed. More about it the next time. Re-reading the review and remembering the test steps, I found similarities with a boxing game. We watched a good fight! From the beginning the pretendent started well, showing preparation and technique worth of respect. And if until the end the outcome was uncertain and the issue about the winner stayed open, the sudden knock out of the competitor in the last working test with the outside antenna put the all the dots over “i-s”. The decive victory came when nobody expected, but was neat and according to the rules. As it usually happens we like the old champions and cover their weaknesses with previous glory. But the end of every star is a new star. This time the sympathetic boy from the Chinese province played fairly and honestly. Let’s hope that the winner does not blame us for the harsh exam that we submitted him. If DEGEN does not want to be one of the several “soap boxes” in the windows of the stores, it has to be up to the heights of their competitors. And it did it. 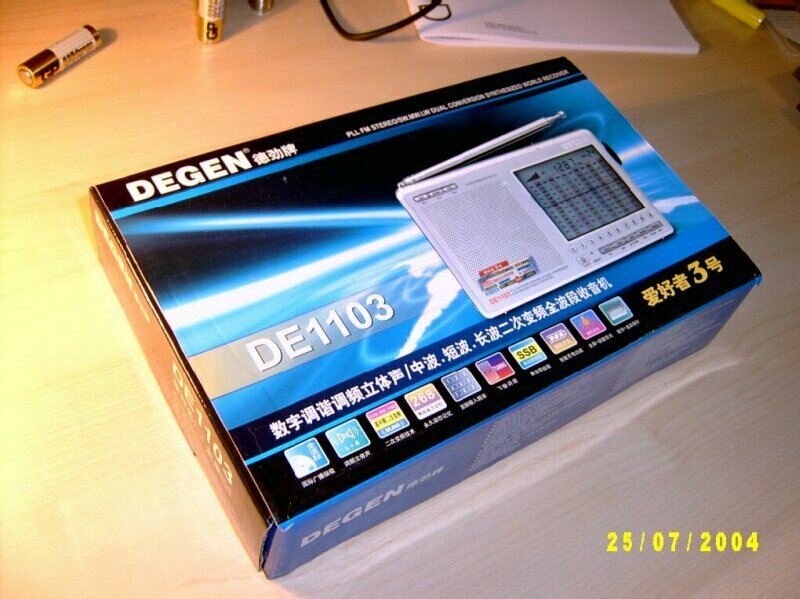 After I finished the test of the DE1103 I understood that now I have a receiver that I dreamed. Small and light, sturdy and stylish, powered with rechargeable batteries and excellent reception characteristics. You can take it in the train and listen with the whip antenna, or attaching a good antenna, receive “live” ether, without fearing to lose its fullness in the noise of overload. Show me another receiver with the same choice of features priced $90 (here in Russia, abroad a new DE1103 is sold for $55!) to make me reconsider its leadership position in this class.